At first glance Tupelo seems like your average southern town. Located in the hills of Northeast Mississippi, just a stone’s throw from the Natchez Trace, it boasts all the requisite southern accoutrements. Main Street is lined with charming shops, grits are a required component at every meal, and sweet tea flows freely at all the downtown restaurants. Add in a church fan and that distinctive Mississippi accent, and you have all the ingredients for some true southern ambiance. But Tupelo is much more than ambience; in fact, thanks to the fortuitous birth of a rock and roll legend in this otherwise ordinary city, Tupelo attracts Elvis fans from all corners of the Earth. They come to learn more about “The King’s” younger years, and to perhaps gain an understanding of how his upbringing shaped his later life, and his music. And since it’s just a four-hour drive from Nashville, it’s a natural addition to any Graceland visit. Access hasn’t been overlooked in Tupelo either; as access upgrades have been added to many Elvis sites, so today everyone can enjoy this musical chapter of history. The best place to get a good orientation of Tupelo is at the Tupelo Convention and Visitors Bureau (CVB), located at 399 East Main Street. Accessible parking is located near the building, with level access up to the front door, and accessible restrooms in the building. 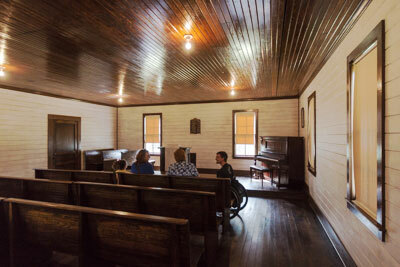 Inside you’ll find some interpretive exhibits, a large selection of maps and brochures, and a very helpful staff. And even if you arrive after business hours, there’s a fully stocked rack of brochures by the front door. There is also a nice picnic area under the trees outside the Tupelo CVB. There is an accessible path over the area from the parking lot, and it’s a pleasant place to stop for a break, enjoy a snack, or map out your Tupelo visit. Be sure and pick up the walking and driving tour map of Tupelo and Lee County. The walking tour covers a small area along Broadway, from Main Street to Franklin Street, and includes the Lee County Courthouse, as well as a number of historic homes in the North Broadway Historical District. If you can’t manage the three-block walk, the driving route passes by some historic churches, homes and monuments in and around Tupelo. 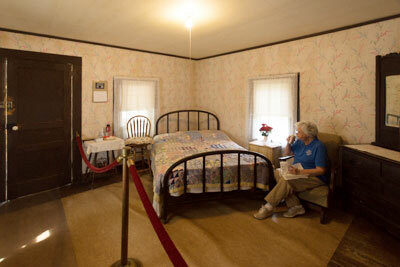 Although neither of these tours highlight Elvis sites, they are ideal for folks who appreciate historic architecture. 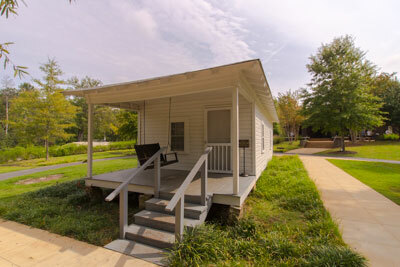 The Elvis Presley Birthplace (662-841-1245, www.elvispresleybirthplace.com) tops the list of Tupelo Elvis sites. 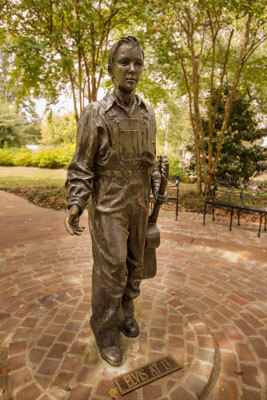 It’s actually a campus, with several buildings and monuments, and it’s a must-see for all Elvis fans. It’s hard to miss, as a 1939 Plymouth graces the entrance to the ticket office. The car is owned by the Tupelo Automobile Museum, and it’s just like the one that Elvis used to move from Tupelo to Memphis on November 6, 1948. Access is good at the site, with accessible parking in front and level access up to the ticket office. Outside there is level access to the Elvis at 13 statue, a story wall which portrays Presley’s life, the fountain and the side entrance to Elvis’ childhood church. The birthplace itself has several steps in front, with level access at the back door. The house, which sits on its original location, was built by Elvis’ father in 1934 for $180. 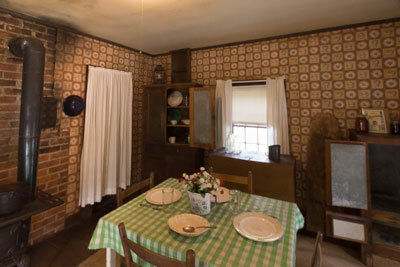 It’s furnished with period furniture, and docents are on hand to share bits and pieces of the Presley family history with visitors. Don’t miss the Elvis Presley Museum, located just across the courtyard from the house. There’s level access to the building and plenty of room to maneuver a wheelchair inside. 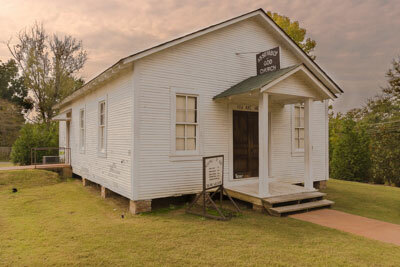 The museum has a heavy focus on Presley’s first 13 years in Tupelo, when he learned to play guitar and enjoyed singing in church, and the jazz and blues shakerag clubs. There’s no shortage of other Elvis sites in Tupelo, from the schools he attended, to his favorite local hangouts. Although many of the sites are just drive-bys, Tupelo Hardware (662-842-4637, www.tupelohardware.com) is worth a stop. Located at 114 West Main Street, this is where Elvis got his first guitar on his 10th birthday. As the story goes, he wanted a rifle, and when his mom flat-out refused, Elvis threw a fit in the middle of the hardware store. In a effort to calm him a store employee brought out the guitar. It was love at first sight, and the rest is history. The store is owned by the same family that founded it in 1925, and it features level access and barrier-free pathways, so go on in and browse a bit. 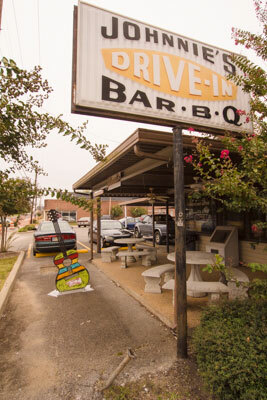 Another fun site is located on the other end of Main Street — Johnnie’s Drive-In (662-842-6748). It’s past the CVB on the opposite side of the street, at 908 East Main Street. This was one of Elvis’ favorite hangouts in his youth; and since it’s still operating today, you can enjoy a treat when you visit. There’s a step up at the entrance, but you can also eat at one of the tables outside. Be forewarned though, don’t go on Sunday morning, as not only is the drive-in closed, but the patrons of the adjacent church also use the space for overflow parking. 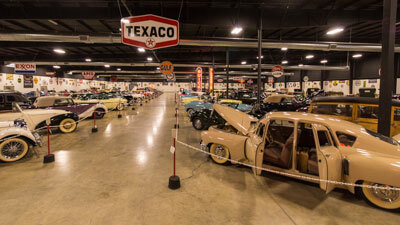 Last but not least, save some time for the Tupelo Automobile Museum (662-842-4242, www.tupeloauto.com), while you are in town. Billed as one of the largest automobile collections in North America, the museum was founded by Frank Spain, who grew up in Tupelo. Spain acquired his first antique car in 1974, and today the collection tops 150 rare automobiles. Accessible parking is available near the door, with level access to the museum. Inside there’s plenty of room to roll around and check out the cars. There’s a good collection of celebrity cars including Liberace’s 1982 Barister Corvette and BB King’s Rolls Royce and El Camino. And yes, the museum does have an Elvis connection; in fact, it houses a 1976 Lincoln Mark IV that the singer gifted to Spain. 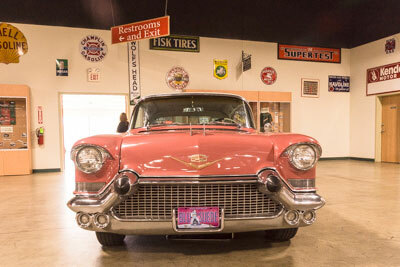 As an added bonus, the car is displayed in front of 33 original Elvis movie posters. The audio presentations at each exhibit help bring the cars to life, and serve to explain why each one was acquired. And aside from the celebrity vehicles, there’s a wide range of automobiles, from an 1886 Benz to a 2008 Toyota Prius. Don’t miss the gift shop near the exit, as it’s a step above the usual souvenir store. Sure if you want a t-shirt or a shot glass or some Elvis memorabilia, you can certainly find those, but the shop also has a nice collection of works by local artists. Be it jewelry, pottery, paintings or woven artwork, there’s an ample choice of hand-crafted items. In short, the museum has a little bit of something for everyone, and it’s a great way to top off any Tupelo visit.